World recognized person – originally a psychiatrist, first educated medical doctor in Italy. 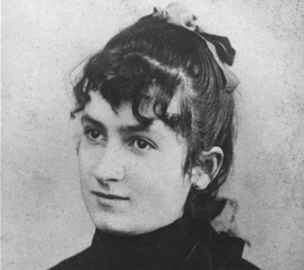 However she had found that this education is not enough when raising children, therefore she had extended her approbation to anthropology, pedagogy and philosophy. 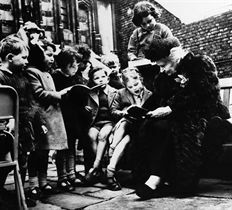 She had become part of world history by scientific work and creative attitude towards children. She created a study based on 26 years of examination of kids. She made so called “sensitive stages of a child” – she learned that every child goes through separate stages of life and each of them brings something new. Every child is in certain part of its life more sensitive to one activity – so it can develop this activity in fully natural way (for example stage of language, stage of water etc.) The child can develop its natural abilities and possibilities very quickly thanks to so called “prepared environment”. His guide is an adult person (teacher or parent = has a role of spectating the child). When Maria first entered facility for disabled kids, she had seen kids in small beds with bars holding bread and squeezing it in its hands. Her guiding nurse said to her: “They are stupid, aren’t they? 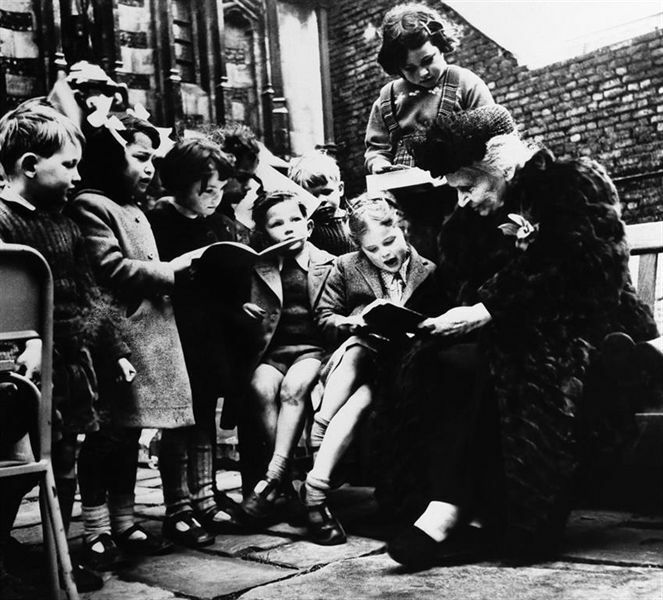 They don’t know that the bread is for eating.” Maria Montessori replied: “No, they are not stupid. They are clever as they know bread is not only for eating, but you can also create from it.” Maria Montessori approached every child with kindness and as a human. However she did not forget about boundaries and borders that kids need to have, to support them. 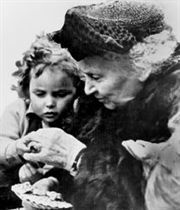 In the year 1896 Maria Montessori graduated as the first woman doctor of medicine in Italy. 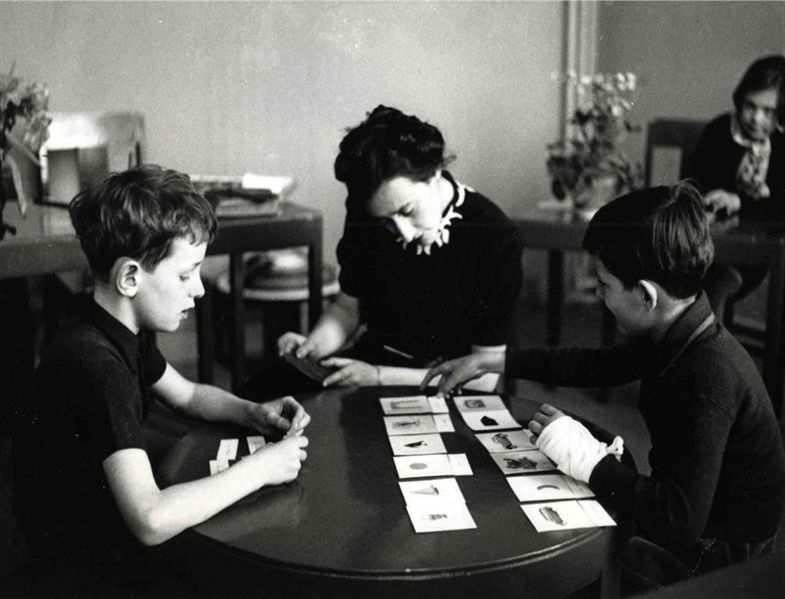 After that she worked as an assistant at University of psychiatry in Rome, where she focused on raising mentally disabled children (she specialized in study of children nerves diseases). In years 1898-1900 she worked as a director of school for education of medical teachers and at the same time she was children doctor in Rome. Later (1904-1908) she lead faculty of anthropology at University of Rome. 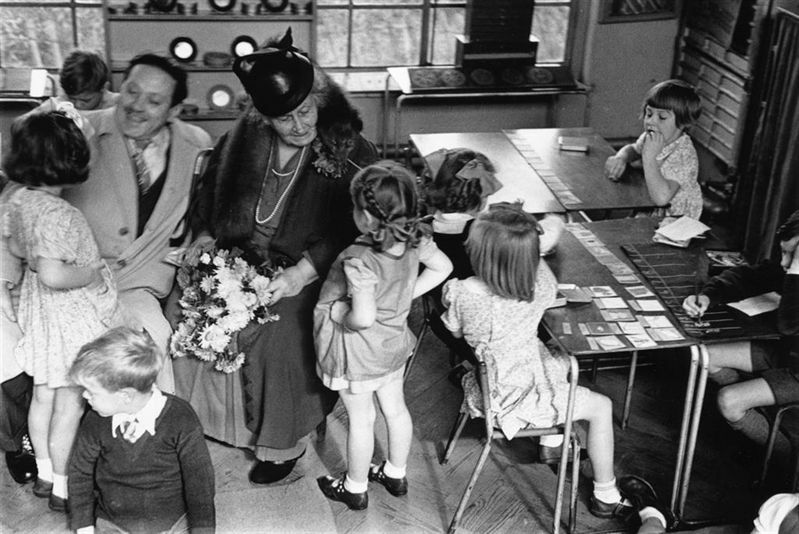 In January 6th 1907 she opened The House of Children (Casa dei Bambini) which was focused on poor preschoolers. She firstly began to use and develop material for sensory education made originally for mentally disabled children, school tools for reading, writing and calculus. 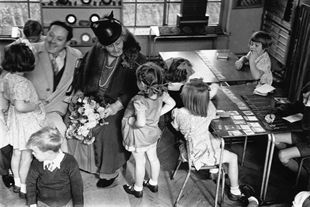 She involved kids in practical activities such as dusting or sweeping. 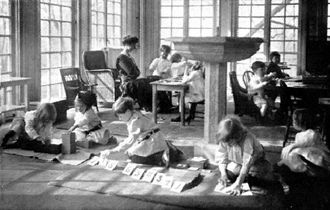 In the year 1908 Maria Montessori left all prestigious places (psychiatric clinic, anthropology faculty at Rome University). She quit job of medical doctor and had begun her 40 year journey of lecturing and writing. In Rome she took part in founding first association for spreading her methods which was called Opera Montessori. 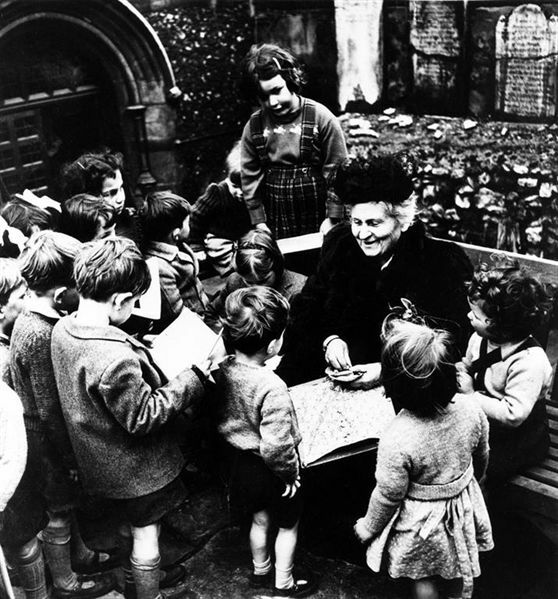 The work of Maria Montessori is not based just on theory. Her strenght is in practical usage of her thoughts. The main part of her work are interpretation of kids and reasoning pedagogy experiments. The child is the creator of itself. However the child is evolving with touch, it is also being influenced by people in its environment and despite that the child still picks which, what and how will those factors influence its action. Help me, so I can do it by myself. This sentence was said by a child to Maria Montessori and it had become main motto of her pedagogy. The task of adults is to let child to use its strength and gain knowledge and abilities, to grow into world which surrounds it. Hand is the tool of spirit. Working with hands is the basics of understanding thing, events, developing mind and speech. The stress on connecting physical and spiritual activity. It is important to come out from concrete knowledge and manipulation with things. The age when the child is especially sensitive and somewhat ready for gaining certain knowledge. If this stage is not used, the sensitivity fades away. The child decides what to do with who and when and how long it will work. Workspace, tools, objects for manipulation are need to arrange in such way that it allows children to learn new things without outer help. The child is able to focus intensively and in long term on work which is interesting for it. Polarization of concentration is the basic of learning. Mutual application of physical and spiritual activity has to take part in the process of learning.